DAVID LE/Staff photo. 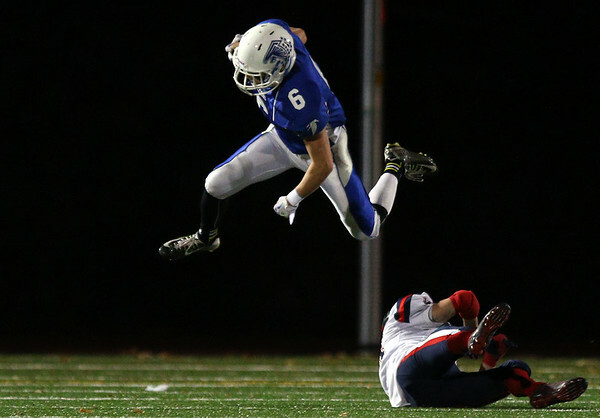 Danvers senior Danny Lynch (6) leaps high over a diving Revere defender on a sweep play during the first half of play. 10/30/15.